WASHINGTON -- Republican Sen. John McCain has returned home to Arizona after being hospitalized for a viral infection while battling brain cancer and will miss a crucial Senate vote on the GOP tax package, his office said Sunday. The 81-year-old senator will undergo physical therapy and rehabilitation at the Mayo Clinic in the state after spending several days at Walter Reed National Military Medical Center in Maryland. In a brief statement, the office provided an assessment from Dr. Mark Gilbert, chief of neuro-oncology at the National Institutes of Health's National Cancer Institute. 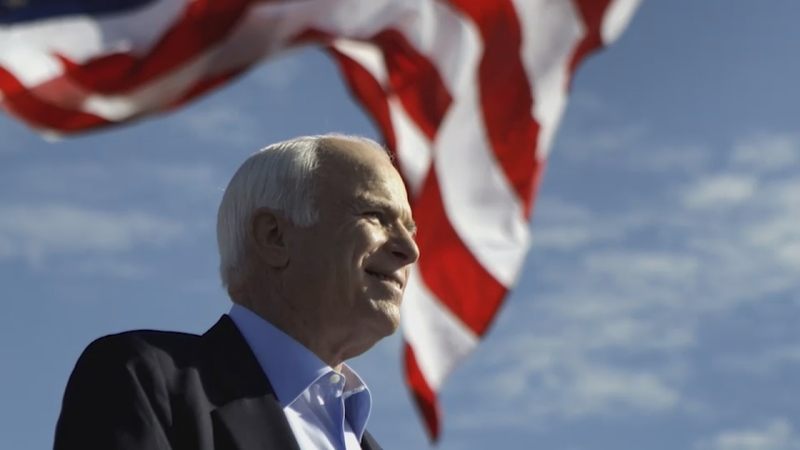 "Senator McCain has responded well to treatment he received at Walter Reed Medical Center for a viral infection and continues to improve," Gilbert said. "An evaluation of his underlying cancer shows he is responding positively to ongoing treatment." McCain expressed appreciation for his care and the outpouring of support and, according to his office, "looks forward to returning to Washington in January." Now in his sixth Senate term, McCain underwent surgery in mid-July to remove a 2-inch (51-millimeter) blood clot in his brain after being diagnosed with glioblastoma. Earlier in the day, President Donald Trump told reporters he had spoken to McCain's wife, Cindy.